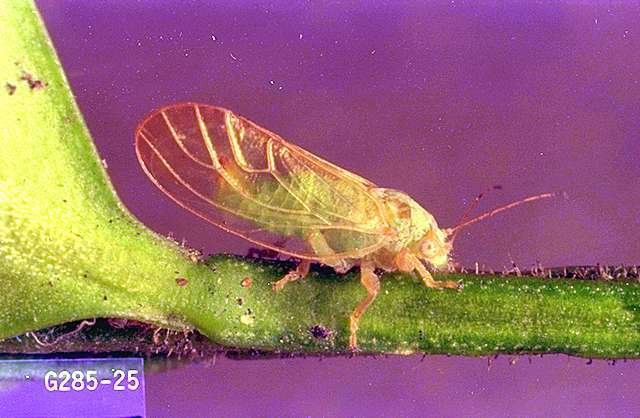 Pest description and damage The greenish, aphid-like adult psyllids are about 0.125 inch long. The adults jump, and can even bite, although this is not serious. 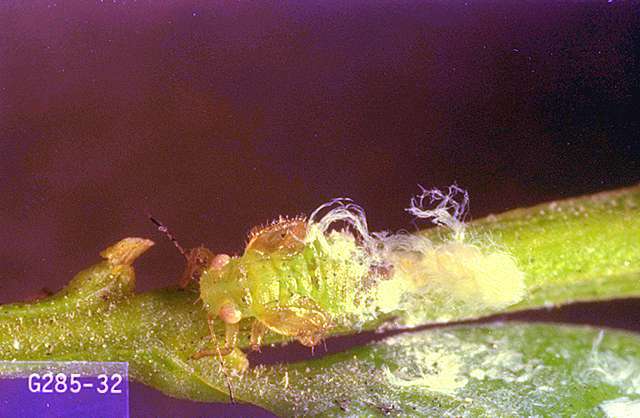 The immature psyllids (nymphs) are covered with a white, waxy secretion that gives them a cottony look. The nymphs feed on the developing buds and new growth. The presence of the boxwood psyllid is indicated by the cupping of leaves at the tips of terminals. Buds in cupped leaves often are dead. 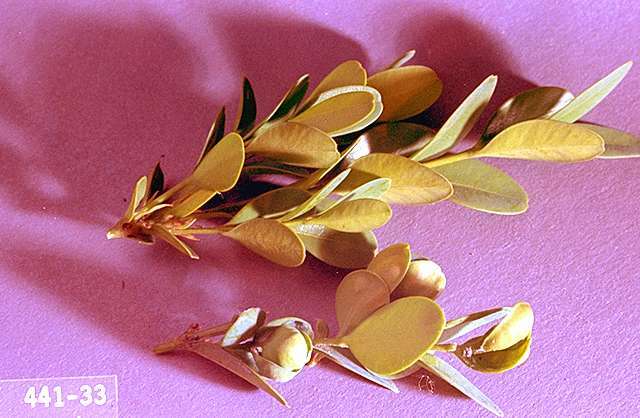 Biology and life history The insect overwinters as spindle-shaped orange eggs under bud scales on boxwood. As the buds open in early April, the eggs hatch and the nymphs begin to feed. Adults can be found by late May. There is only one generation per year. Lady beetles, lacewings, and parasitic wasps are all effective controls for this pest. Avoid the use of broad-spectrum sprays which would disrupt these controls. English boxwood (Buxus sempervirens) is reportedly less susceptible.